Elephants and babies go hand in hand right? 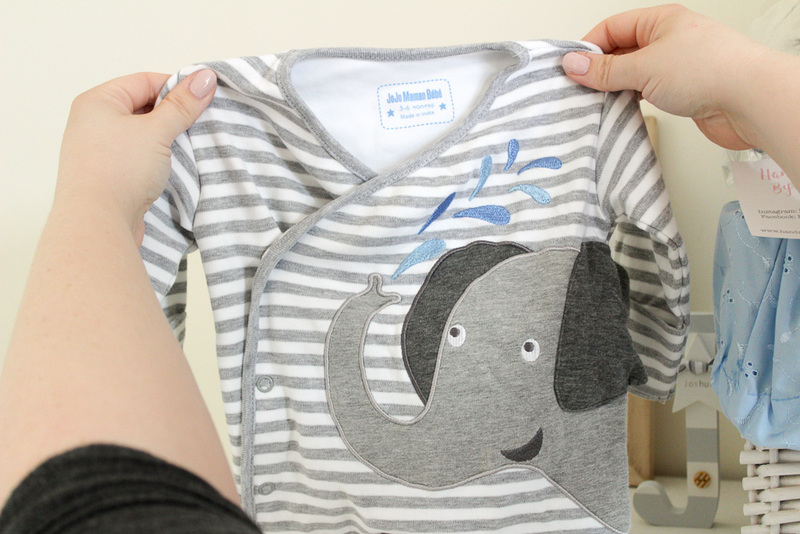 They also happen to be my dads favourite animal so we have a lot of elephant print clothes. 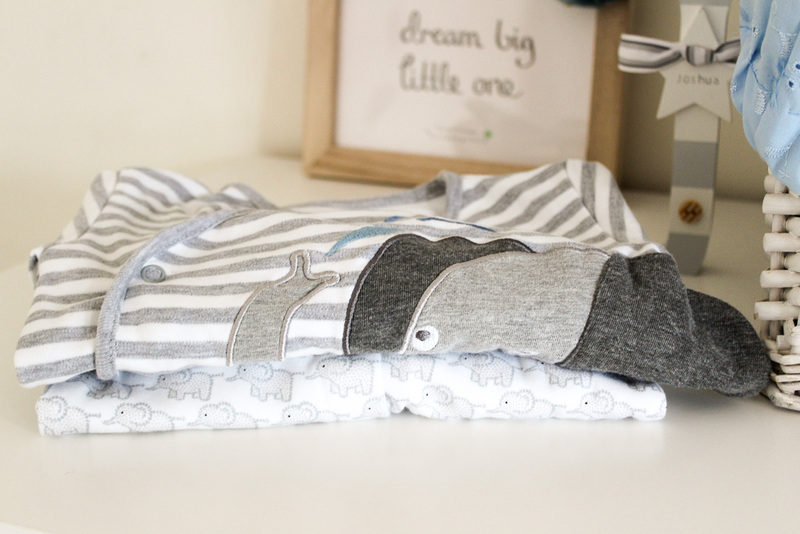 I find the JoJo Maman Bébé sleepsuits to be some of the best because of the easy popper system and the feet shape so I ordered the Little Elephants Baby Sleepsuit in grey (£16.00) along with the Elephant Applique Baby Sleepsuit (£17.00) which I thought was adorable due to the floppy elephant ear. 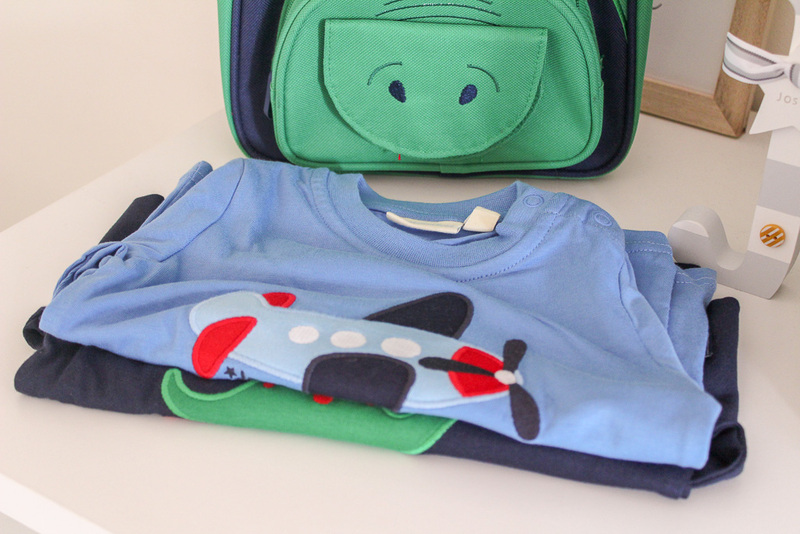 Next up were some every day pieces, JoJo Maman Bébé are known for their applique tops that are adorned with dinosaurs, planes and more so I made sure I picked up two tops for Joshua as part of the buy two, save £5 deal. I chose the Blue Aeroplane top (£12.00) and the Navy Dinosaur Top (£12.00) in size six months which will be ideal for that unpredictable summer we have in England. To go with the tops I also bought a pair of Baby Cord Pull Ups (£18.00) which are really good quality. 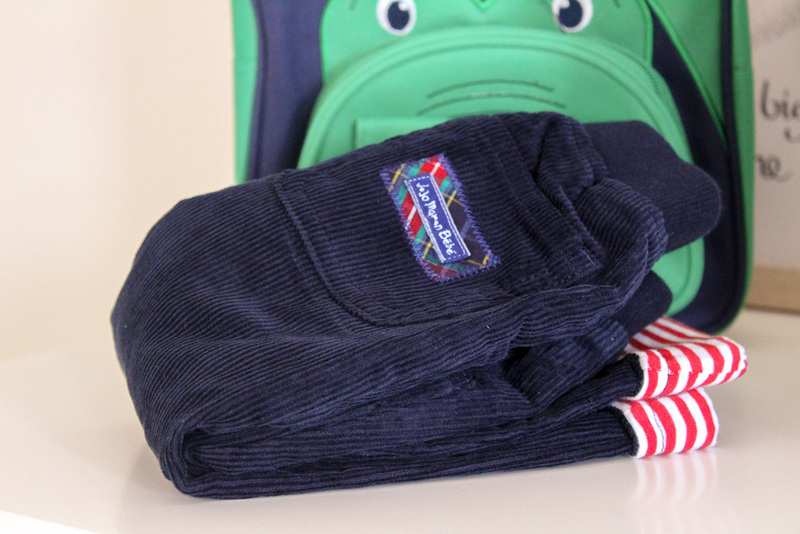 They're available in a range of colours and are fully lined with soft cotton. 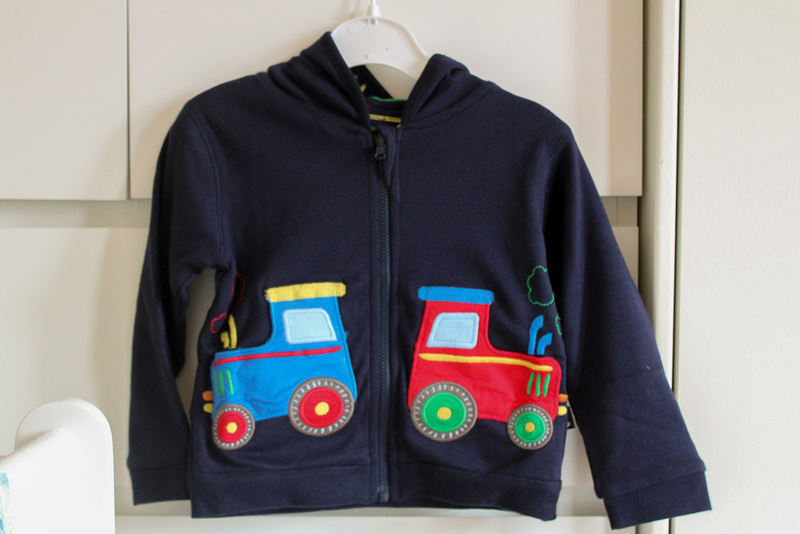 I can't wait to pair them with one of the tops and that adorable Tractor Reversible Hoodie (£21.00). The last few pieces were accessory based. 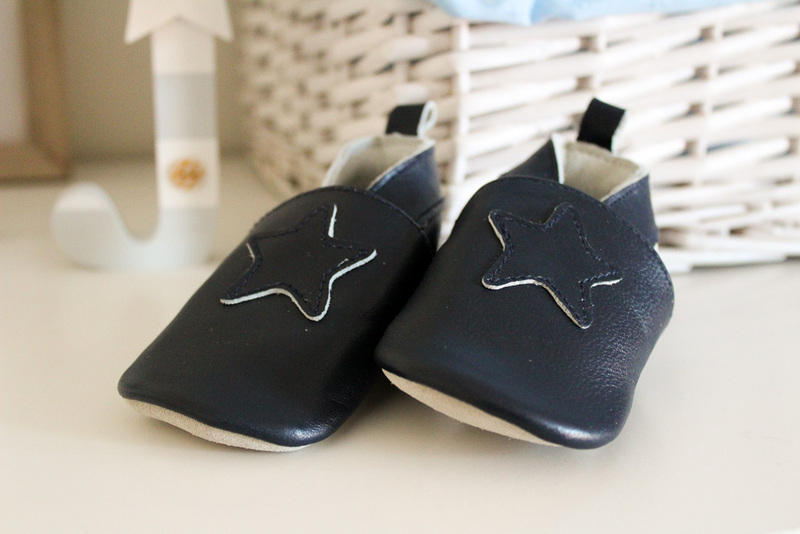 We don't put Joshua in shoes at the moment but that didn't stop me falling in love with the Star Leather Baby Booties (£21.00). Made from the softest leather, the booties are ideal for special occasions or out and about. I think these will look adorable with chinos and a little shirt, I'm making the most of dressing him up before he can say no. 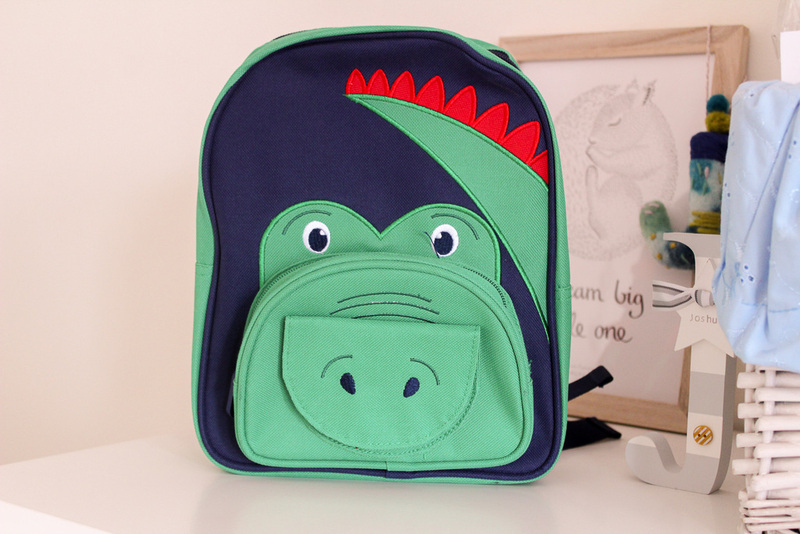 I also ordered some more dinosaur bits, the 3-Pack of Dinosaur socks (£9.00) and the Dinosaur Rucksack (£16.00). 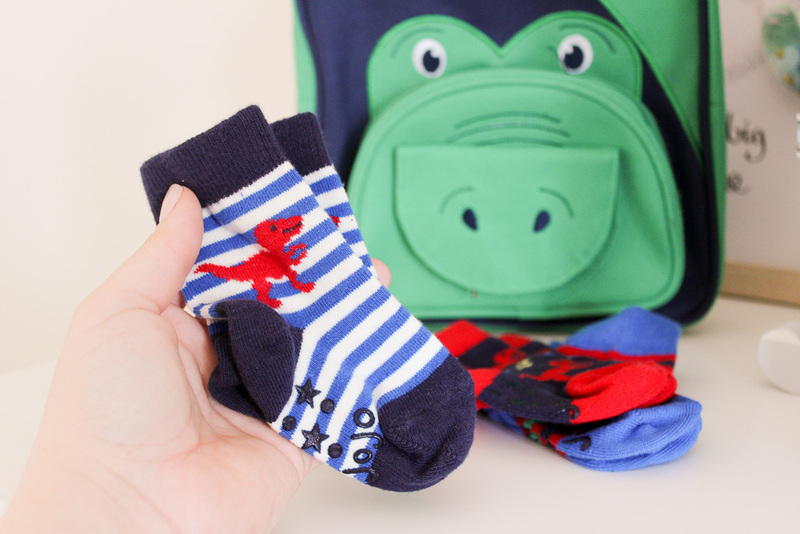 We use socks all the time as by some miracle, Joshua tends to keep them on his feet and the Dino socks are are super soft with an anti-slip sole. The rucksack, well just look at it! The front flap even lifts up to reveal big teeth. He is too small to use it himself at the moment so I pack his toys in it for when we go to his grandparents, it's come in very handy although I can't wait to see him toddling in front of me with it on his back. I'm dying to order from the spring collection now as I have zero self control. Ha. 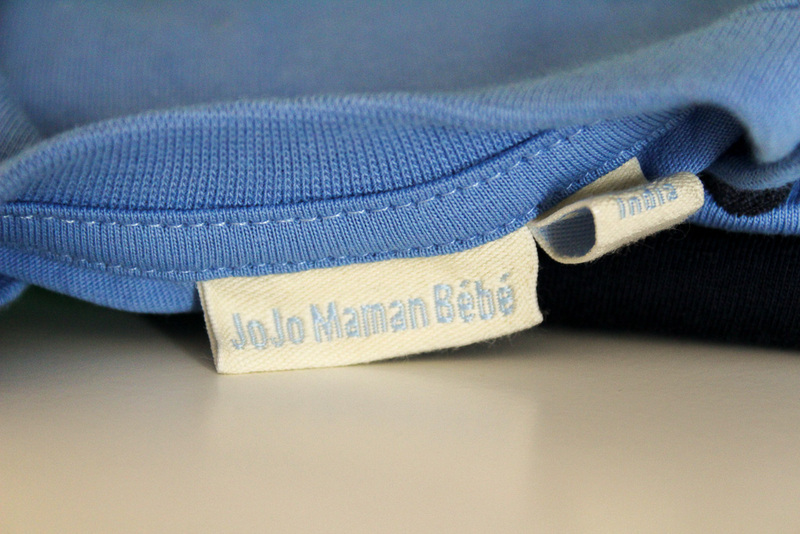 All clothing bought with a gift card provided by JoJo Maman Bébé - see disclaimer. We had some fix leggings for E from JoJo Maman Bebe in the past and they were just the cutest! I love all the dinosaur themed pieces - for some reason I’ve been drawn to anything dinosaur at the moment. I’ve not taken a look at the website for a while (meaning like a week) but after seeing all this cuteness I think I’m going to have to give it another look! Those little shoes are the cutest thing ever! Oh that backpack and those little shoes are so adorable!